The recent death of legendary rapper Nipsey Hussle has touched the entire hip-hop world. Philly rapper, Privaledge, has released his newest ..
Philadelphia-bred MC Mizzy Raw is a true gem. Imagine Meek Millz real life perspective meets Nipsey Hussle's motivational spirit, and you have ..
Nipsey Hussle prepares release of 'Mailbox Money' with the haunting "50 Niggaz"
Nipsey Hussle announced earlier today that he would be dropping of a project before his oft-delayed Victory Lap. 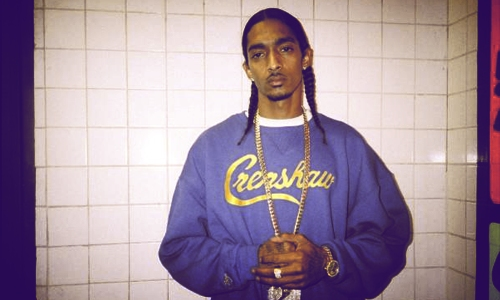 An album-before-the-album ..
Nipsey Hussle kicks back on tour with a famous freak in his "Hotel Suite"
California’s Nipsey Hussle continues to drop new music while embarking on his current ‘Crenshaw Tour’ across the US and Europe. This ..
Toronto crooner and one of the first OVO Sound artists, PartyNextDoor just released a new track titled "Muse". His hypnotic blend of smooth ..
Two of the biggest buzz artists out of the LA area right now come together for the first release off Nipsey Hussle's freshly announcedCrenshaw tape. ..
As Jamla Records' Rapsody preps her upcoming Gangsta Grullz mixtape release, She Got Game, the North Carolina emcee has let loose "Never ..
With the release of his new mixtape looming just over the horizon (we hope), Childish Gambino has been keeping his fans occupied with a steady .. Being summer is just around the corner you the season of the "summer bangers" is upon us, which leads us to west coast artist Nipsey Hussle ..
Nipsey Hussle finally released his first project in over a year in the form of a mixtape entitled The Marathon Continues. It's a shame–this ..